The sport of dressage has become very popular not only amongst professional athletes but increasingly also for private horse owners. In well-defined tests, rider and horse execute movements, which demonstrate the strength, endurance, and dexterity of the animal as well as the quality of the interaction between rider and horse. Whilst at a professional level intensive expert coaching to refine the skill set of horse and rider is standard, such an approach to progression is not usually viable for the large amateur population. In this paper we present a framework for automated generation of quality feedback in dressage tests. Using on-body sensing and automated measurement of key performance attributes we are able to monitor the quality of horse movements in an objective way. We validated the developed framework in a large-scale deployment study and report on the practical usefulness of automatically generated quality feedback in amateur dressage. 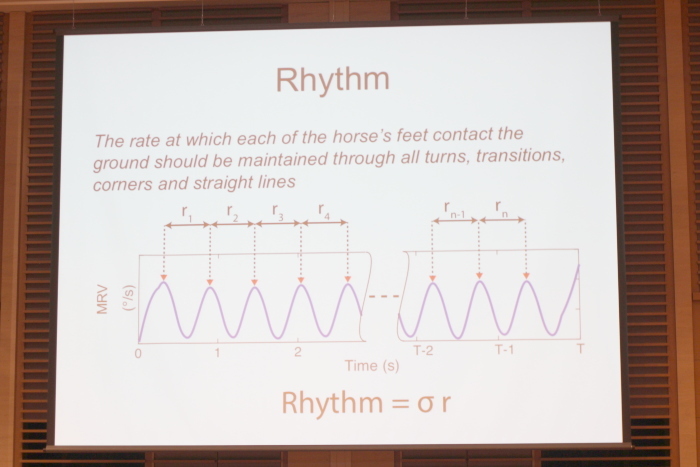 This was presented at the Interacting with Animals and Flying Robots Panel Session, UBICOMP 2015.